This cavalry regiment was raised as an East India Company unit in 1858. It soon transferred to British Army service and existed until 1922, when it was merged into the 14th/20th Hussars. In the aftermath of the Indian Mutiny (1857-59), the East India Company questioned the loyalty of Indians in its cavalry units. As a result, it recruited several units made up entirely of non-Indian soldiers. One of these was the 2nd Bengal European Light Cavalry. Formed in 1858, it transferred to the British Army only three years later while still in India. On its transfer, it was converted into a hussar regiment and took over the numeral 20, which was vacant at the time, in the cavalry order of precedence. Five unconnected light dragoon regiments with that numeral had been raised and disbanded between 1706 and 1818. 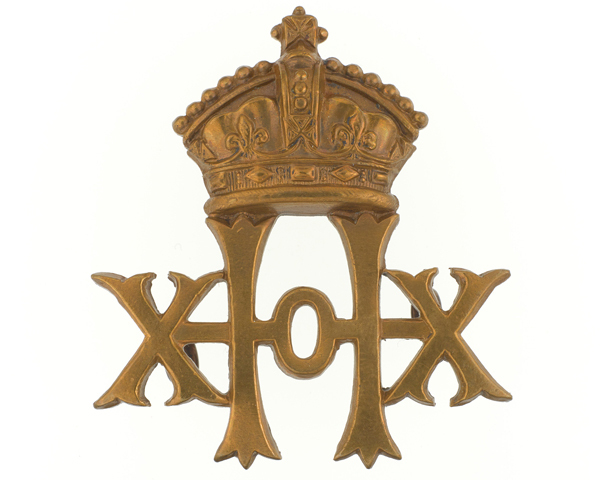 In 1890, the 20th Hussars were officially recognised as their successor and adopted their battle honours. The regiment remained in India until 1872, serving on both the Umbeyla (1863) and Black Mountain (1868) expeditions. It then mostly served in England from 1872 to 1895, broken only by a period in Ireland from 1879 to 1884. During the 1880s, it sent four troops to the Sudan, along with a detachment to the Egyptian Frontier Force. It fought at Tofrek and Ginnis in 1885, and at Gemeizeh in 1888 during the Mahdist War. The next overseas posting for the regiment as a whole only came in 1895, when it returned to India. From there, it moved to the Boer War (1899-1902) in 1901, taking part in the anti-guerrilla campaign. 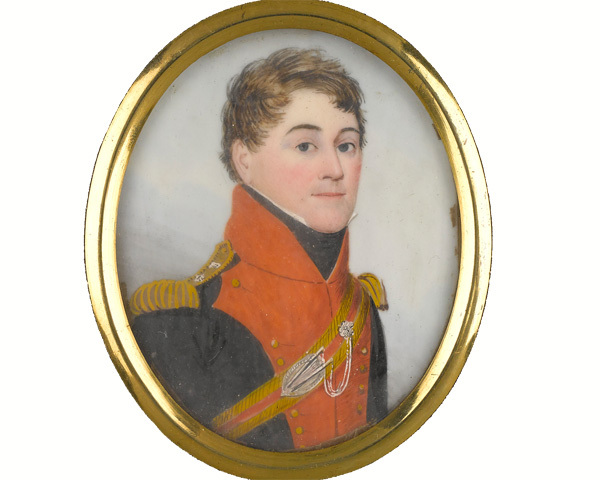 Garrison duties in Egypt, England and Ireland followed. 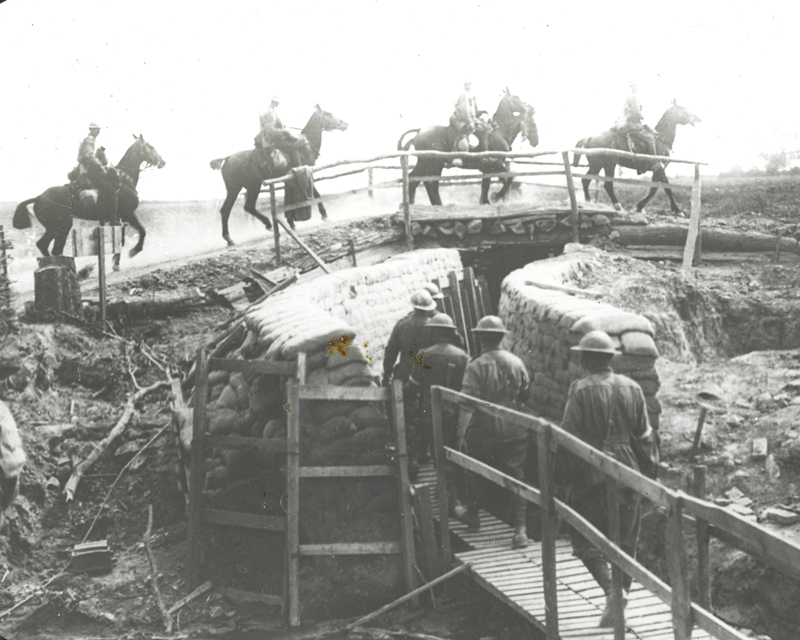 In August 1914, the regiment deployed to the Western Front, where it fought mainly in a dismounted role, only serving on horseback for the first and last months of the conflict. It fought in several battles including Mons, the Marne, the Aisne and the First Battle of Ypres in 1914. It was later engaged at Arras and Cambrai in 1917 and at Amiens in 1918. Following the Armistice with the Ottoman Empire, the regiment was sent to Palestine in 1919 and then to Anatolia in 1920. There, it fought against the Turkish Nationalists at Izmit and made what some regard as the last ever British cavalry charge. The regiment disbanded in 1921. It was re-formed as a single squadron the following year to amalgamate with the 14th King's Hussars, becoming the 14th/20th Hussars. Explore the history and collections of the 20th Hussars by visiting the 14th/20th King's Hussars Museum at the Museum of Lancashire. This British Army cavalry regiment was raised in 1715. It continued in service until 1922, when it amalgamated with the 20th Hussars to form the 14th/20th Hussars. This armoured regiment of the British Army was formed in 1922. It existed until 1992, when it amalgamated with The Royal Hussars to form The King’s Royal Hussars. This cavalry regiment was raised in 1689. It went on to serve with the British Army until 1958, when it merged with the 3rd Hussars to form The Queen’s Own Hussars. This British Army cavalry regiment was raised in Ireland in 1693. It went on to serve in many campaigns until 1958, when it merged into The Queen's Royal Irish Hussars. This British Army cavalry regiment was formed in 1685. It served in many campaigns until 1958, when it was merged into The Queen’s Royal Irish Hussars. This cavalry regiment was formed in 1685. It went on to serve in many British Army campaigns until 1958, when it became part of The Queen’s Own Hussars.